The Ranger Slim Adventure belt is packed with all the great features of it’s bigger brothers but in a smaller package. 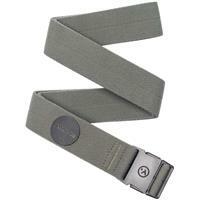 This lightweight and low-profile belt is built with elastic stretch webbing for a superior fit and ultimate comfort. A perfect fit and one size fits most comes from a micro-adjust buckle. No metal means that airport security becomes a breeze. A minimal buckle and a slimmed down webbing allows this adventure belt to fit through smaller belt loops. Made from quick-drying and machine washable materials mean this tough little Ranger is your ultimate outdoor companion.